Being Croatian artist invited to represent British art scene in an exhibition in Sweden I’ve worked with languages as a symbol of national identity. I developed the game based on three languages: Swedish, English and Croatian. 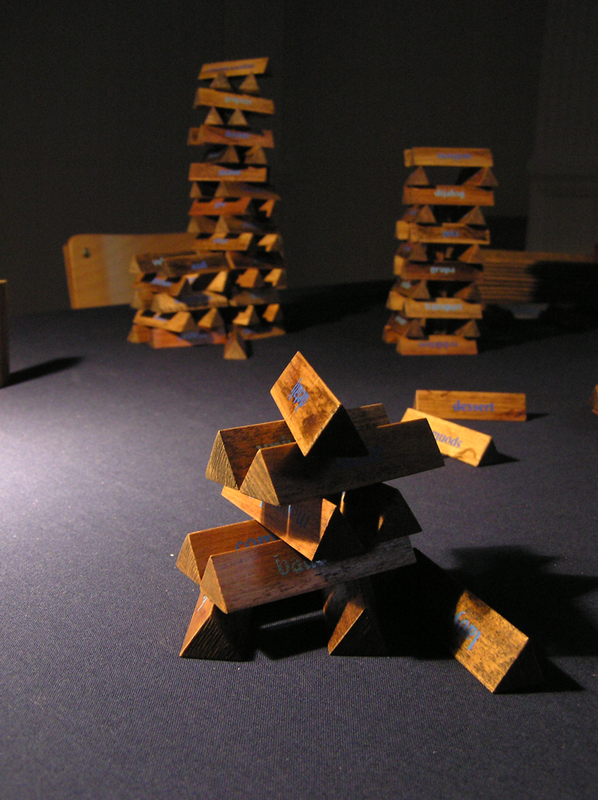 The game contains 300 threesided prisms. 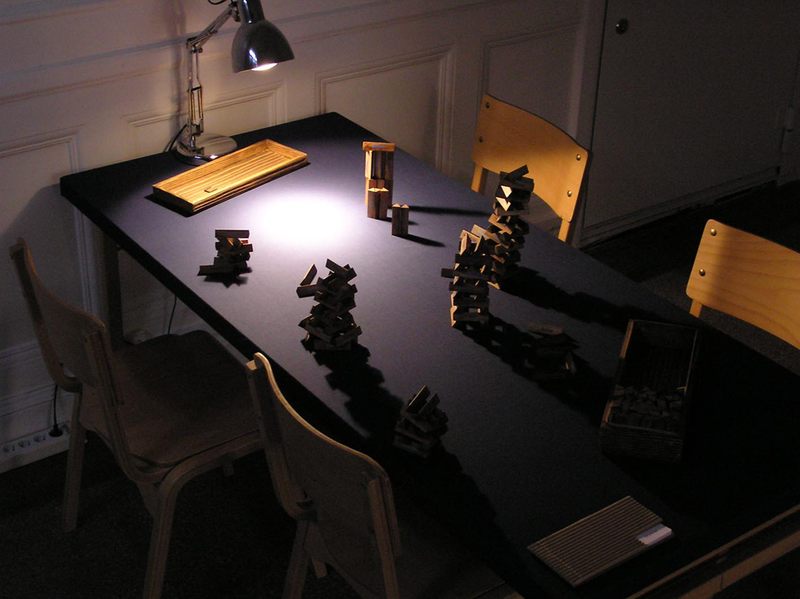 Each prism containes one word written in three languages and differentiated by tones of blue. The words selected for this project are the same or almost the same in all three mentioned languages. The rules of the game are determined through workshops with different age groups. 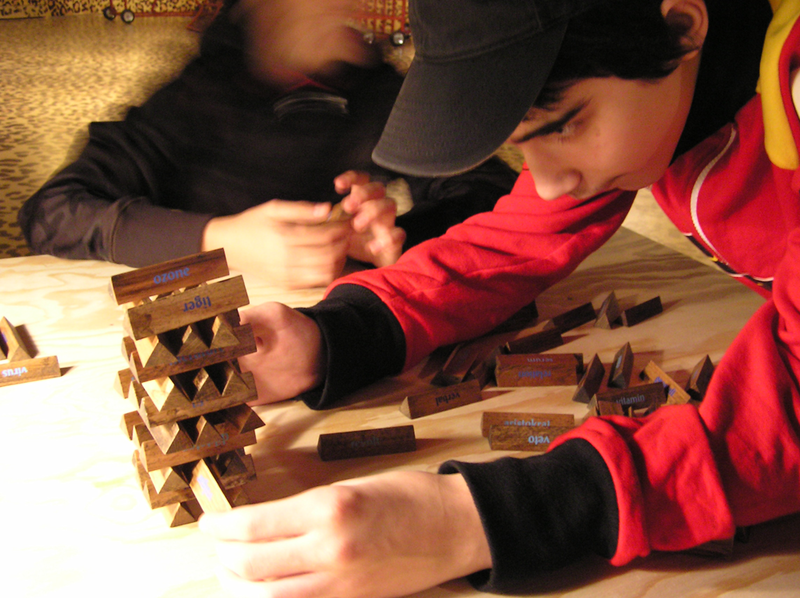 Playing includes physical ability (tower building) and mental element in form of story telling (punishment for the collapser of the tower).